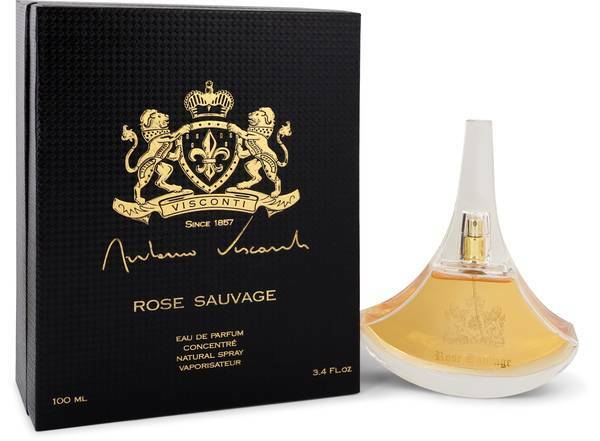 Antonio Visconti Rose Sauvage Perfume by Antonio Visconti, The Antonio Visconti Rose Sauvage fragrance is reminder of the beauty and battles of love . This scent contains both sweet and powerful aromas that reflect the ways in which love sways the mind. Zesty notes of bergamot and tangerine are contrasted with notes of lovely peach blossom and neroli. Jasmine and rose notes add that floral femininity that makes this fragrance so great. Base notes of gray amber, patchouli and tonka bean provide a Read More Read More frim foundation for this scent. Finally, notes of vanilla and honey complete a sweet aroma. 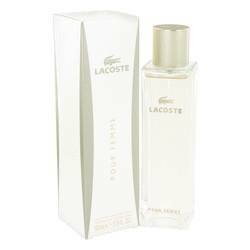 This scent has impressive sillage which allows you carry this scent with you throughout both lunch dates and evening outings. Antonio Visconti has created unique fragrances since the 1970’s. Each bottle is its own soul and has its own specific reflective properties. This bottle sports a glamorous design that is inspired by the beauty of the Moon. 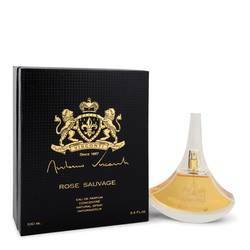 A bottle this gorgeous elevates any perfume collection. All products are original, authentic name brands. We do not sell knockoffs or imitations.